Coffee Bond is a casual place located on the first floor above Depaul's coffee in GK 1, M block market. The place has wooden interiors with large windows and a good seating capacity. 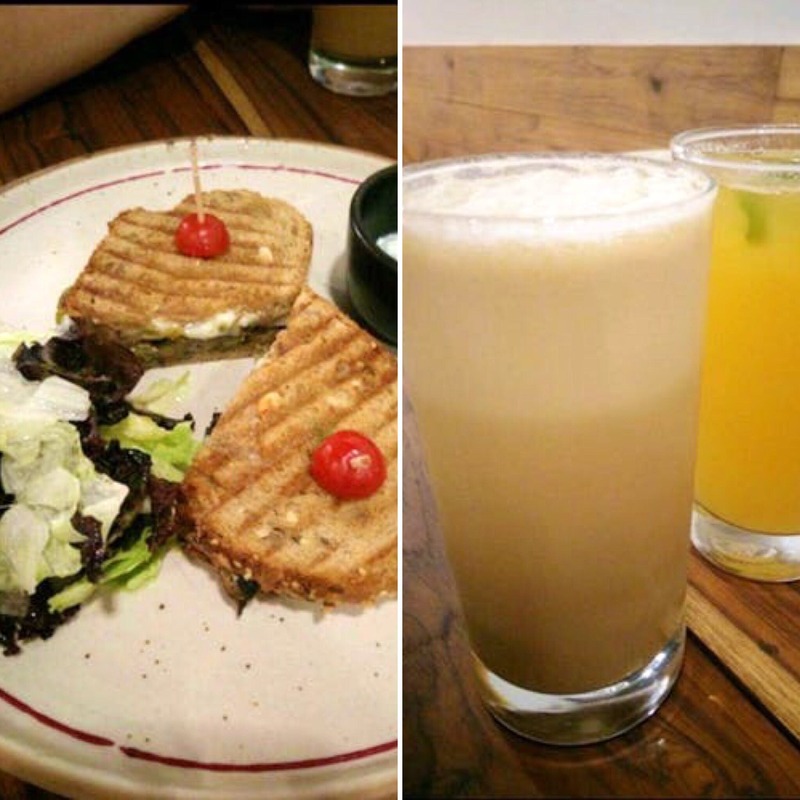 They offer freshly brewed coffee along with some drinks, sandwiches, pasta, pizzas, salads, and other dishes. The staff is friendly. I ordered the cold coffee and orange/pineapple cold brew tea along with veg sandwich and pancakes. The drinks were refreshing and delicious. The sandwich had a fresh vegetable filling but I found the portion size slightly small. Their mango and berries pancakes were freshly made and tasted great. The pricing is quite decent and this is a good place to hang out and have good coffee and food. Overall, it was a good experience. Need more items on the food menu.